When you arrange your first appointment, you’ll be encouraged to tell us if you have any special needs. You have the right to express a preference of practitioner – but please note this will depend on the availability of the practitioner. If you are disabled we will do our very best to help. We have a surgery and toilet on the ground floor. Wheelchair access is possible but limited. 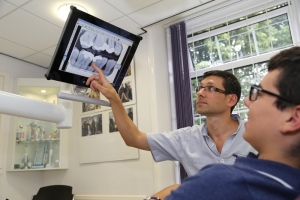 We aim to provide an excellent service and welcome feedback from our patients. If you have any comments or complaints or wish to have access to patient information and patient’s rights in relation to disclosure of such information, please ask Tracey Black. Our NHS contract is with NHS England, West Yorkshire Area Team, 3 Leeds City Office Park, Meadow Lane, Leeds LS11 5BD. Telephone: 0113 825 2700. The website for the General Dental Council can be found by clicking here. We provide both NHS and Private care. Cosmetic dentistry is not available on the NHS. There is no hygienist- the dentists carry out all the dental care. 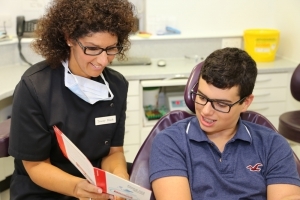 We do not provide orthodontic treatment, but will refer to a specialist orthodontist practice in the area. Teeth Whitening is available privately and is carried out by the qualified dentists. This is perfectly safe as we only use concentrations of bleach that are within the legal limits. To find out more, send us an enquiry. Mouthguards are also made privately. We are the official dentist to the Leeds Rhinos Rugby Team. To find out more, send us an enquiry.